It is our duty and obligation to maintain the highest standards of our profession and to render treatment accordingly in a safe and clinical healthy environment. It is our sincere belief that our patients have the right to be thoroughly examined and diagnosed to determine the nature and cause of their discomfort and concern. We are committed to our patients’ well being and will deliver exceptional dental care to ensure your needs are met. Our family-friendly practice provides a relaxing and comfortable atmosphere for you and your loved ones. Our friendly knowledgeable team has decades of dental experience and will go above and beyond to exceed your expectations to ensure that your dental experience is an amazing one. 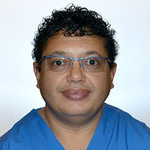 Dr. Mustafa Abouzgia trained in oral and maxillofacial surgery at the University of Toronto and completed his residency at The Toronto Hospital, obtaining a Dip. OMFS. He continued fellowship training in Toronto, and was awarded a fellowship certificate by the Royal College of Dentists of Canada. While working on a research project in the University of Toronto’s Department of Mechanical Engineering, Dr. Abouzgia also earned an M.Sc. degree. Dr. Abouzgia’s work has been published in a number of professional periodicals, including the Journal of Oral and Maxillofacial Surgery, the International Journal of Oral and Maxillofacial Surgery, and the International Journal of Oral and Maxillofacial Implants. He has also delivered presentations at a variety of scientific conferences. 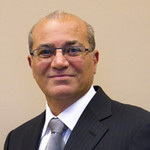 Outside of the dental office, Dr. Abouzgia enjoys travelling and is an avid gardener.We welcome you to meet one of the best dentists in Orangeville. 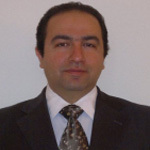 Dr. Arash graduated from the Mashhad University of medical sciences in 1997 and began working as a dentist in 2001. Upon arrival to Canada Dr. Arash completed the qualifying dental program at University of Toronto in 2015. He is an active member of the Royal College of Dental Surgeons of Ontario, as well as the ODA. Dr. Arash’s philosophy in dentistry is focusing on prevention. He believes that the treatment does not come to an end after the office hour; he is dedicated to his patients and makes sure to give care calls to ensure they are doing great and ensures that each and every patient gets the highest level of treatment and care. Dr. Gaid graduated from Medical School at the University of Alexandria in 1975. He furthered his education to specialize in Anesthetics and graduated with Anesthesia MBChB from the University of Toronto in 1975. Dr. Gaid is constantly upgrading his skills and taking courses to stay informed of the latest technologies. He furthered his training in Anesthesia at the University of Toronto in 1988 (FRCP©). Outside of dentistry, Dr. Gaid enjoys traveling and is a sports enthusiast. Dr. Russell Leve received a Doctor of Dental Surgery (DDS) degree from McGill University before obtaining a graduate degree in periodontology at Temple University in Philadelphia. In addition, Dr. Leve has a MA in education from Temple. He enjoys all aspects of periodontic dentistry and continues his education through courses in the latest techniques and technologies. 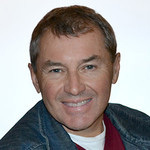 Dr. Leve is a member of several associations and professional organizations, including the Canadian Dental Association (CDA), the Ontario Dental Association (ODA), the American Academy of Periodontology, the Canadian Academy of Periodontology, the Ontario Society of Periodontology, and the Pierre Fauchard Honour Society. When he is not working, Dr. Leve enjoys reading, cycling, and jogging. Dr. Brian Way graduated with a DDS from the University of Toronto’s Faculty of Dentistry in 1979, and the University of the Pacific’s (San Francisco) graduate orthodontics program in 1992. He enjoys orthodontic dentistry and continues to update his skills and education by taking courses each year. Dr. Way is an alumni of the University of Toronto, and a member of the Toronto Orthodontic study club. In his spare time, he likes playing tennis. Dr. Zena Yacub graduated from faculty of dentistry at Umeå University in Sweden 2015. She moved to Canada and obtained her Canadian license 2018. She is also keen on staying up-to-date with all aspects of dentistry through continuing professional education courses and programs. 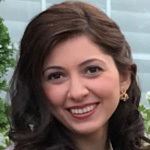 Dr Zena is a member of royal collage of dental surgeons of Ontario, Ontario dental association, Halton Peel region dental association, headwater dental society and Canadian Iraqi dental society. Dr. Zena lives in Mono/ Orangeville, she prefers the small town pace and atmosphere to build close relationships with her patients. Outside of dentistry, Zena is a wife and mother who enjoys spending quality time with her family; husband Karam and her daughter Christina. She also enjoys reading, exercising, listening to music, cooking and traveling. Dr. Joseph (Joe) Zeisler is a graduate of the University of Toronto Faculty of Dentistry. 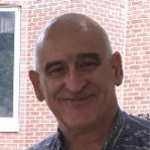 He received his Dental Degree in 1986 and then practiced dentistry in a private practice setting, both owning and associating in dental practices in the Greater Toronto Area as well as in the Greater Golden Horseshoe area for over 30 years. Dr. Joe has been at our office for three years and his plan is never to retire. His dental philosophy is very similar to Dr. Copeland’s method of practice of compassionate, gentle and caring dentistry. Dr Joe resides on the outskirts of Orangeville, at the Mono border, neighbouring on the Island lake Conservation Ares and has been active in environmental matters affecting Orangeville and Mono, as they relate to source water quality and quantity as well as air quality and air pollution. Dr. Joe also holds an Honours Bachelor of Science (B.Sc.) degree with a focus on Biochemistry, and a Master of Science degree (M.Sc.) in Biotechnology/Recombinant DNA technology. 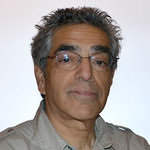 Dr. Joe has maintained his interests in the study of molecular biology and biotechnology and has made it one of his hobbies to stay informed and up to date in these areas applying his knowledge to areas of human biology and physiology as well as infection control and the role of stress and anxiety in human behaviour. Dr. Joe has four children who work in the fields of personal security, pharmaceutical science/drug design and commercial/residential construction. Dr. Joe’s other hobbies include photography and hiking the trails of Mono and Dufferin county always looking for the next interesting wildlife, flower or landscape photograph.